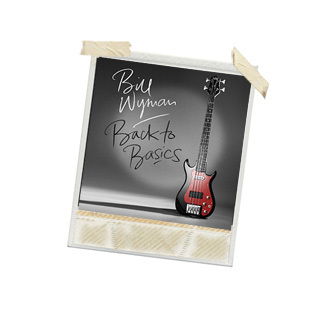 I had high hopes for this album after loosely following ex-Rolling Stone Wyman’s Rhythm Kings a few years ago and the title Back to Basics hints at the current trend for acoustic or simple adaptations of an artists older songs. Sadly for me, Back to Basics is more Back to The 80’s as each song is ‘produced’ to within an inch of its life and the use of studio electronica and wizardry takes away any Soul that any of the songs may have. What and How & If & Why, which opens the record is interesting in as much as Wyman sings in a cod Ian Dury poetic style and the lyrics are quite sharp; which isn’t the case with the dull backing track. Love, Love, Love is in a similar style; but this time the instruments actually creep through the fog and make for a pleasant four minutes. I rather like Running Back to You; as Wyman breathy vocals work very well with the piano and brushed drumming support – a lot more like this would have made for a very good album, indeed. One song will surely garner column inches; simply because of the title; but Seventeen is probably the best song here as Wyman paternally looks at the ruthless ambitions that invariably lead to the shattered dreams of young girls; all set to a ‘swinging tune’ with female backing vocals. While most songs are eminently pleasant and listenable; especially if you are ‘of a certain age;’ the overall ‘Pop production’ rapidly dates everything. Which is sad because a younger stronger Producer could have turned these songs into something much sharper and possibly even Bluesier; which would have really been Back to Basics.